Call for Papers for manuscript submission for the Journal of Black Sexuality and Relationships which is published by the University of Nebraska Press. This refereed, interdisciplinary journal will shed light upon the continuum of sexual expression of those of African descent. Please submit narratives of qualitative and quantitative research efforts or of conceptual or clinical essays that seek to advance the field of sexology. The first issue will be out in October, 2014 and so the deadline for manuscript review is 15 June 2014. All research articles in this journal undergo rigorous peer review, based on initial editor screening and anonymous refereeing by two anonymous referees. This entry was posted in CFPs on June 13, 2014 by Jonelle Isaac. How do ideas about, and experiences of, blackness travel across the Americas? How does this circulation of representations of blackness – through popular music, the internet, print media, and scholarship – influence local ideas of race and nation? How does (im)migration to and within the Americas shape and reshape understandings about blackness? Afro-Latinos in Movement – an edited interdisciplinary volume being prepared for Palgrave Macmillan’s Afro-Latino Diasporas Series – seeks to answer such questions. A collection of theoretically engaging and empirically grounded chapters and original artwork, this book will examine African-descended populations in Latin America and Afro-Latinos in the United States in order to explore broader questions of black identity and representation, transnationalism and diaspora in the Americas. 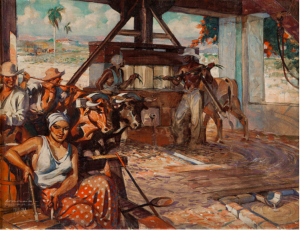 Afro-Latinos in Movement draws on previous works on race and blackness in Latin America and U.S. Latino communities, while also providing a uniquely hemispheric approach. The volume will build up from the U.S. context to critically examine how blackness, and more specifically afrolatinidad, is understood, transformed, and re-imagined across locales throughout the Americas. In this way, the volume emphasizes the multiple movements across geographic borders, and over time. Thus, Afro-Latinos in Movement will broaden and deepen the discussion on afrolatinidad in the Americas by providing a critical transnational approach to understanding blackness in the region. Afro-Latinos in Movement will be arranged in three sections, each of which will emphasize the multidisciplinary aspect of this volume by incorporating a range of works including creative or biographical pieces. While the volume will highlight the circulation of ideas and identities across borders more generally, Afro-Latinos in Movement expects that about half of the contributions will center on Afrolatinidad in the United States. Afro-Latinos in Movement invites complete manuscripts from all disciplines for inclusion in this volume, including relevant creative works. All submissions (creative or scholarly) must be original. Artwork should be sent jpeg format, compressed to no larger than 25 MB (larger formats will be used for publication). Manuscripts should be submitted via electronic attachment (word or PDF file preferred) to: AfroLatinosinMovement@gmail.com with ‘Volume Submission’ in the subject line. CVs should be included as a separate document. Manuscripts may be submitted until the deadline. Papers will be reviewed continuously until the submission deadline. Final decisions will be issued to authors no later than 30th July 2014. Manuscripts will be published in English only. Submitted manuscripts or artwork should not have been published previously, nor be under consideration for publication elsewhere (except conference proceedings papers). All manuscripts will be reviewed by the editors for inclusion. Submissions will be continuously reviewed until the deadline. A guide for authors and other relevant information for submission of manuscripts is available on the Instructions for Authors page. This entry was posted in CFPs on May 31, 2014 by Jonelle Isaac. 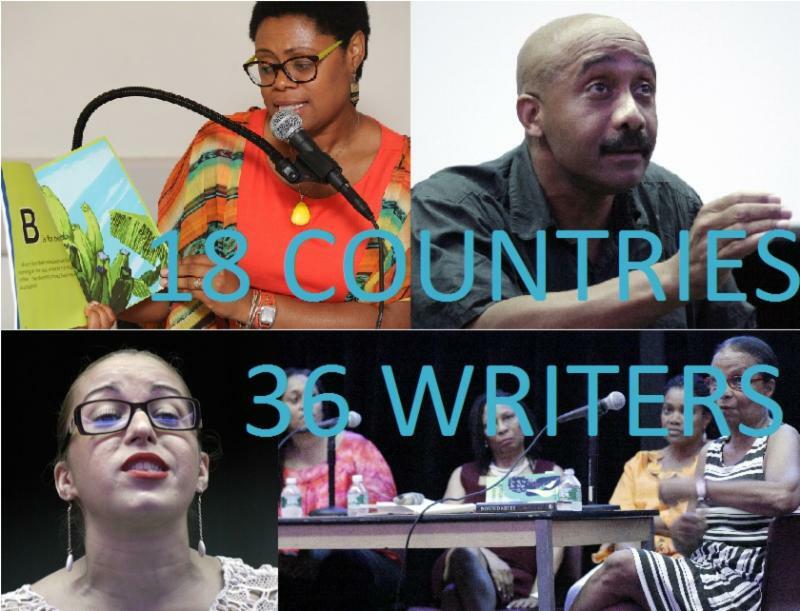 36 Writers. 18 Countries. WORD! Verse in Print – Where the poem will live, in traditional publishing or in digital media. Words and Colours – The happy pairing of visual artists who write. Wordsmiths – New Voices. New Tales. This entry was posted in Northeast US Events on May 31, 2014 by Jonelle Isaac. creative expression of Cuba and its diaspora. white, more than mulatto, more than black” has been extensively cited since then. racial democracy in Cuba and elsewhere. Although CRI prefers panel proposals, they will attempt to group individual papers in sessions according to shared themes. Panels will ideally include four paper presenters, a chair (who may be one of the presenters), and a discussant. Panels may feature five paper presentations if they do not include a discussant. Participants may perform two roles at the conference (chair, discussant, roundtable participant, or paper presenter) but may not present more than one paper. Submissions may be in English or Spanish. Proposals for panels or roundtables must include a general description of the theme and one-page abstracts of each participant’s paper. Each presentation will be limited to 20 minutes. The following information must be submitted for each participant: full name, role in the session, academic affiliation, title of presentation, preferred addresses, office, cell, and home phone numbers, fax, and email address. Persons wishing to submit individual papers must present a one-page abstract and all pertinent personal data. The deadline for submission of all paper and panel proposals is 31 October 2014. Notifications of acceptance (or refusal) will be sent out by 1 December 2014. For further information about the conference and other CRI activities, please visit their website here. All submissions and requests for information should be sent to cri2015conference@gmail.com. An acknowledgement of receipt will be sent. of racial politics, as well as their histories, enduring significance, and potential futures. This entry was posted in Announcements, CFPs on May 28, 2014 by Jonelle Isaac. Co-organized by the University of Puerto Rico at Río Piedras, the University of the West Indies, Cave Hill Campus, Barbados, the Virgin Islands Caribbean Cultural Center, and Universidad de Costa Rica, Cátedra de Estudios de África y el Caribe y la Sede Regional del Caribe. EARLY NOTIFICATION OF ACCEPTANCE OF ABSTRACTS/PANEL PROPOSALS SUBMITTED BEFORE 15 AUGUST WILL TAKE PLACE BY 1 SEPTEMBER 2014.
biography (50 words or less). Venue: Universidad de Costa Rica, Sede Regional del Caribe, Port Limón City. • Eastern Caribbean Drama, Poetry, Fiction, Cinema, Essays, Biographies, etc. Information regarding the conference will be available on the Islands In Between Web Page here. This entry was posted in Announcements on May 20, 2014 by Jonelle Isaac. Professor Christopher Winks (QC Comparative Literature) will lecture on the politics of Afro-Atlantic artistic representation. 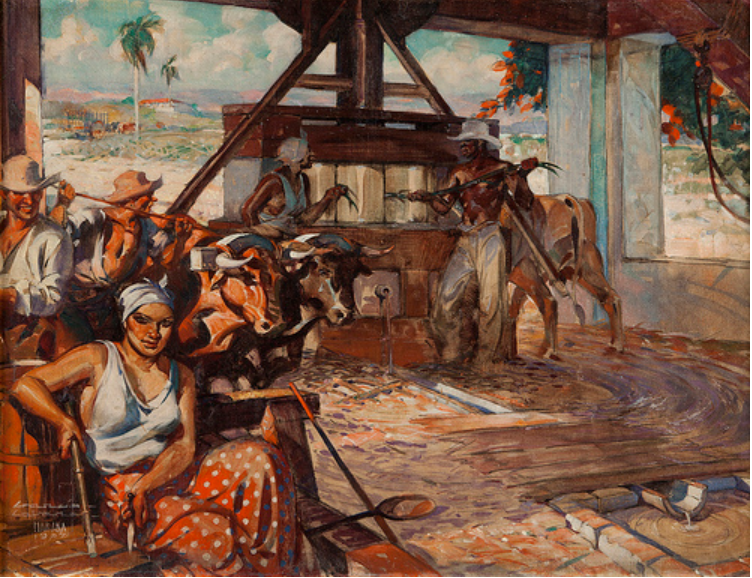 This exhibition, organized by the GTM and John Collins, Director of the Program in Latin America and Latino Studies in collaboration with the Afro-Brazilian Studies and Research Institute (IPEAFRO), displays forty artworks by Abdias Nascimento (1914-2011), a critical political and artistic figure in Brazil and the African diaspora, an activist and founding force in Brazil’s black movement, as well as an author, playwright, senator, and artist. This entry was posted in Announcements, Northeast US Events on May 9, 2014 by Jonelle Isaac. Forging Concepts through Struggle: The New Slave—Racism, Empire, and Sexual Violence. Over the last decade, the worsening plight of Blacks in the United States has raised fundamental questions about reconciling democracy with poverty, freedom with statism and government surveillance, and the idea of racial progress with the routinized deaths/murders of Black men, women and children. These realities have led some to ask a deeper question: Did slavery ever really end, or do Blacks around the world still effectively live in chains? The thought of Blacks as NEW SLAVES has led recent scholars to reformulate questions of race, class, and gender into more complex notions of empire, neo-liberalism, and sexual violence. This reformulation has drawn on and reshaped resources from a variety of sources. Africana philosophy, Latin American philosophy, (post) structuralism/ (post) colonialism, psychoanalysis, and anti-colonial thought have loomed large, as have the works of literary, visual, and performing artists. The 2014 meeting of Philosophy Born of Struggle takes up these questions and resources. Hosted this year at Paine College in Augusta, Georgia, Philosophy Born of Struggle asks for papers and panels looking to explore the complex obstacles towards freedom, or more accurately stated, how the conditions, values, and institutions PBOS have made synonymous to “being free,” have in fact concealed and consolidated the long afterlife of slavery. This entry was posted in CFPs on May 2, 2014 by Jonelle Isaac. Submissions should be sent to special guest editors, Raj Chetty (chettyr@stjohns.edu) and Amaury Rodríguez (arodrig02@citymail.cuny.edu). Publication of the special issue is slated for late 2015. When preparing manuscripts, please follow The Black Scholar Submission Guidelines. The editors of The Black Scholar welcome essays for a special issue examining the complexity of black cultural politics and identity in the Dominican Republic. This special issue seeks to analyze Dominican racial relations against the grain of the cross-disciplinary consensus, primarily U.S.-based, that focuses on Dominicans’ “negrophobia,” “anti-Haitianism,” and “self-hatred.” In this way, the issue inserts itself into a globally comparative Black Studies, including the articulations and disarticulations between blackness in the US, the Dominican Republic, and Haiti. The issue anticipates that the suggested topics in the list above, or relevant topics not listed, will engage scholars in Black/Africana Studies, Caribbean & Latin American Studies, Psychology, Literary Studies, Theater & Performance Studies, Sociology, Anthropology, Geography, Political Science, Media Studies, Ethnomusicology, and History. The issue will also feature poetry, art, and fiction by black- and Afro-affirming Dominican writers and artists, in English translation. THE BLACK SCHOLAR is a peer-reviewed, interdisciplinary journal providing cogent articles that help the understanding of issues of social concern to black Americans and other peoples of African descent across the world. To provide full range for the development of black thought in a climate where fora are still limited, The Black Scholar emphasizes writings by black authors. The journal was launched in 1969 with the premise that black authors, scholars, artists and activists could participate in dialogue within its pages, “uniting the academy and the street.” Its editors have been dedicated to finding and developing new talent and continuing to publish established authors. TBS is now a refereed journal published with Routledge. Nonetheless, it retains its policy of publishing non-academic organic intellectuals from a variety of vocations and avocations. For more on the journal’s history and philosophy, please visit its website. Message adapted from circulated CFP. See original CFP here (Spanish version here). This entry was posted in CFPs on April 27, 2014 by Jonelle Isaac. American Periodicals seek short essays (4,000-5,000 words including notes, bibliographic and otherwise) that follow the guidelines in the current Chicago Manual of Style. Authors’ names should not appear in manuscripts. Figures and illustrations must be provided in black/white or gray scale as high quality pdfs. This entry was posted in Announcements, CFPs on April 12, 2014 by Jonelle Isaac. Please send original and unpublished essays for this book. Successful applicants will be notified before the end of June 2014. Since its creation in the New World, arguably, it can be said that the Afro-Haitian Religion of Vodou—as a “Haitian genius”—has been represented as an “unsettling faith” and even a “cultural paradox” throughout Haitian history—from 17th century colonial Saint-Domingue to 21st century postcolonial Haiti—as expressed in Haitian literature, thought, law, politics, painting, and Haitian art. 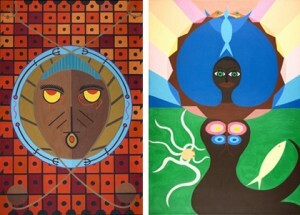 An “idea” of Vodou has emerged from each of these cultural symbols and representations, and intellectual expressions. The Vodouist discourse not only pervades every aspect of the Haitian life and experience, it has had a momentous impact on the evolution of Haitian intellectual, aesthetic, and literary imagination as well as on Haitian theological discourse. In addition, with the emergence of and great interest in Haitian studies in North America, the need to explore all dimensions of the Haitian life and writing, particularly of the Haitian religious experience in Vodou, is critical and important for current and future scholarship, as well as for students of culture, history, and religion. Consequently, an open invitation goes out to interested scholars and writers to contribute a book chapter to a new volume tentatively called Vodou: I Remember: The Idea of Vodou in Haitian Thought, Literature, Music, and Art. This project is interdisciplinary both in nature and content. The goal is to explore how Haitian writers, artists, cultural critics, intellectuals, and theologians have imagined and engaged the Vodou religion and spirituality, and correspondingly, constructed their own ideas of the Afro-Haitian Religion. The emphasis of this volume is on “the idea and representation of Vodou.” The contributor should be mindful of the cultural, socio-economic, and political context which gave birth to different visions and ideas of Vodou. The book is divided in four parts as follows: Part I: Vodou and Haitian intellectuals and cultural critics, Part II: Vodou and Haitian Women, Part III:Vodou and Haitian Theologians, and Part IV: Vodou and Haitian art, painting, (folkloric) dance, and music (mizik rasin [“roots music”]). This entry was posted in CFPs on March 30, 2014 by Jonelle Isaac. 28 March, 2014 at 7:30 p.m. This month, in honor of Women’s History Month, CaFa is showcasing the work of 6 very talented, emerging filmmakers who are women and just so happen to be Caribbean women. While women are still in the minority when it comes to making films, there has been a steady growth in the number of women choosing film as their storytelling medium. Come out and join CaFa as they share a sampling of these works. CaFa’s screening will feature the work of 6 filmmakers, from 6 countries, exploring 6 different themes: love, loneliness, pain, destiny, desire, and separation. CaFa will follow up each film with a discussion of the theme raised and share more intimate details on the filmmakers and their work. This entry was posted in Northeast US Events on March 19, 2014 by Jonelle Isaac. Critical Caribbean invites you to join them for a lecture by: Mimi Sheller from Drexel University. Monday 24 March, 5:00-6:30 p.m. Reception with faculty and students, Tula (47 Easton Avenue) at 3:00-4:30 p.m.
Abstract: Re-thinking the complex historical intersections and inter-embodiments of race, gender, class, and sexuality in the Atlantic world can inform a theory of embodied freedom in wider contemporary contexts of the neocolonial restructuring of citizenship, sovereignty, and power across both national and transnational terrains. In this talk I offer an overview of two key aspects of the literature on citizenship that help us to re-think “queer” performances of citizenship in the Caribbean: first, theories of citizenship as a performative and locally embedded practice, and second theories of sexual citizenship as a crucial dimension of practices of freedom. This critical re-thinking of citizenship has important implications for struggles over citizenship in the Caribbean today. Event organized by Yolanda Martínez-San Miguel, Yarimar Bonilla and Ronald Cummings, and the Archipelagic Studies & Creolization Cluster. Co-sponsored by Critical Caribbean Studies, the Office of the Dean of the School of Arts and Sciences, the Program in Comparative Literature and the Department of Latino and Hispanic Caribbean Studies. This entry was posted in Announcements, Northeast US Events on March 19, 2014 by Jonelle Isaac.